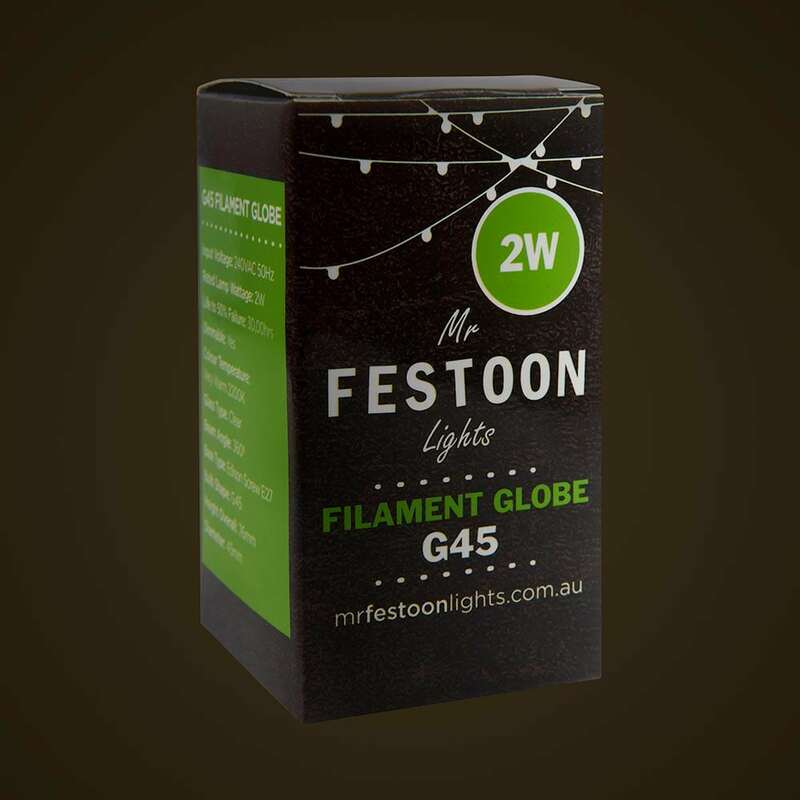 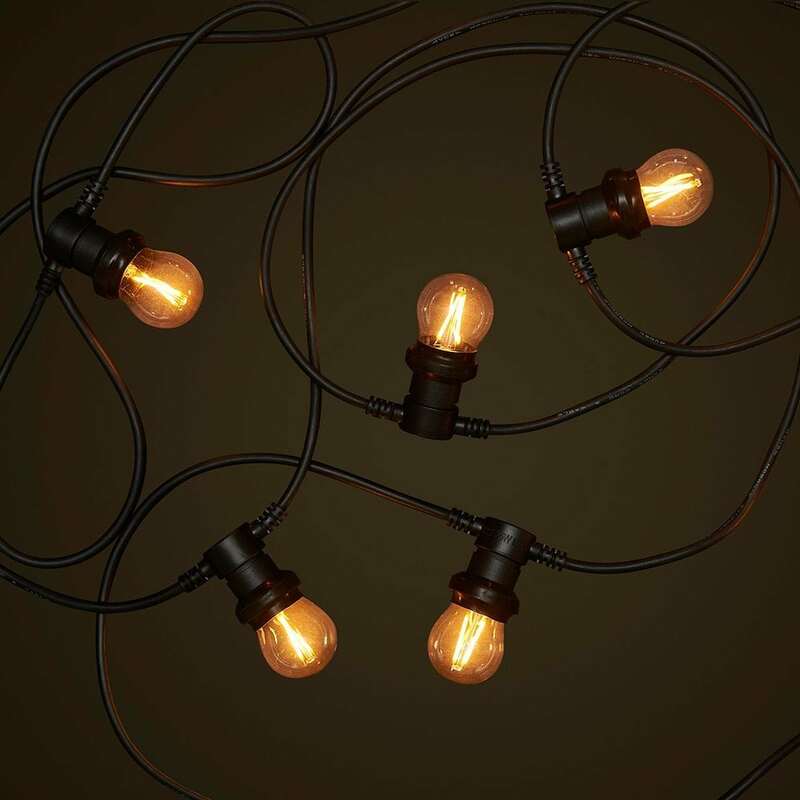 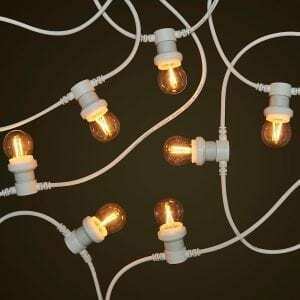 This 2W Dimmable LED Filament Festoon Light Globe is a great addition to any of our festoon kits. It gives more light for those that need it for their space but not too much to wreck the ambience. It’s warm white glow is the perfect colour temperature for festoon lighting; and its small size (golf ball) packs a real punch and the small cross over filaments look absolutely amazing! 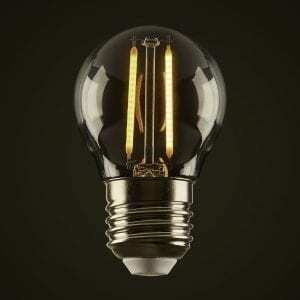 This LED version is great at reducing power consumption and saving money on your energy bills. They also last up to 10 times longer than standard light globes while looking great with a warm yellow light.